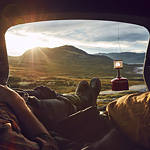 There are many uses of your vehicle that dealers want you to explore and enjoy once you have made a purchase. This is due to the fact that a customer who enjoys your product is likely to shop again with you. One way that you can put your vehicle to good use is to set out on a cheap but adventurous road trip. There are a few steps to take into consideration when planning a road trip on a budget. First, you'll want to consider the route to determine distance and time. This should be followed by calculating a budget taking into consideration gas, food, lodging and visiting sites along the way. Affordable entertainment such as parks and museums, and carefully thought out packing round out the to do list of an affordable roadtrip. Making sure that your vehicle is in tip top shape is also an important factor before heading out on the road. Be sure to visit the Prestige Family of Dealerships to get your vehicle serviced before starting your roadtrip.